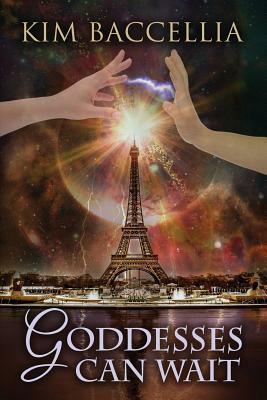 Jordan Lake, a fifteen-year-old Audrey Hepburn-olic who's a magnet for goddesses, has a chance to go to Paris with her grandmother and BFF Selena Garza. Even though she senses something is off, she decides to make the trip. Except time is running out, and if she can't get Aphrodite back to the Eiffel Tower by midnight, she'll be stuck in Greek mythology forever. My fingers brushed against the wooden box. I pulled it out. A slight tingle vibrated through my fingers. Not unpleasant, still it felt as if I’d shocked myself. I gasped, dropping the box. I winced, fearing I’d broken it. What would my grandmother do once she found out that I not only brought it overseas but now had damaged it? For all I knew it was invaluable. I scanned the area, freaking out big time. Then to the corner I recognized the familiar woman on the mosaic top. Relieved, I bent over to pick it up and almost dropped it again. The blond woman blinked at me.